In Luke 15 the Father shows His heart for the those that are without Christ. The lost coin, the lost sheep and the lost son all illustrate the Father’s love. Jesus said the shepherd would leave the 99 for the 1. Even though 99% were safe, he’d go for that one lost sheep. It should encourage us learning of the Father’s love for the those that have wandered away. 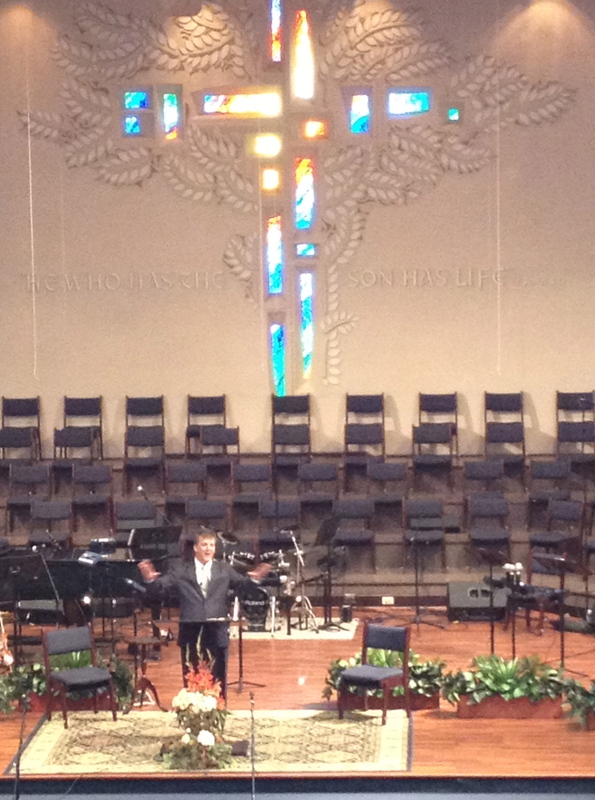 Today, our pastor at Village Seven Presbyterian Church, Mark Bates, shared a great sermon. It inspired me! He said that it was a recycled sermon that he first heard from Randy Pope, pastor of Perimeter Church in Atlanta. I liked it so much I thought I’d highlight some of my take aways from this morning. I think good sermons should be recycled! The sermon was from 1 Corinthians 9:19-27. The focus was on verses 19 & 22. Paul says he has made himself a slave to all. He’s a slave to Christ. As he follows Christ he too has a passion to win men and women for the kingdom. He recognizes the needs of the lost become more important than the needs of the found. This is alluded to in the parables of the lost coin, lost sheep and lost son mentioned above. Paul is willing to do whatever it takes to reach those outside the church. Those in need of Christ. We are to do the same. Notice his emphasis here. “I have become ALL things to ALL people, that by ALL means I might save some.” Any unnecessary barriers that keep people from coming to Christ must be removed. We do not exist for ourselves. We exist for the kingdom. What will we choose our comfort, or to join Christ in His mission? In the last part of 1 Corinthians 9, Paul issues a challenge to the church in verses 24 – 27. Paul has a laser beam focus. He knows what he is serving for. He exhorts us to follow him as he disciplines, beats, punishes his body so that he might finish the race, and not be disqualified. Instead of running for a prize that is perishable, we discipline ourselves for something that lasts forever. We live for Christ. This sermon pumped me up. I told Mark that even missionaries need mission focused sermons. I know for me it strengthens and reaffirms my faith, and my calling to serve him. I hope it does the same for you! Encouraging, thought provoking word. Thanks for sharing! Blessings! Your welcome – I’m glad that the Lord encouraged you, and used it in your life. Thanks! I like the idea of recycling sermons and am so glad this one blessed you. It did me too, but I think missionaries especially need missions specific sermons! thank you for serving like you do! God bless! Maybe that’s true that those in missions need to continually be reminded of their calling and strengthened in their service. There is also a sense in which the church in general and individuals in the church should be mission focused. It’s too easy to forget about the needs of others. Thanks and God bless you as well! Great post! Been discouraged of late about trying to get our church family to be more externally focused, but know I’m not as concerned about it as God is. Need to be praying more about this. Thanks for the encouragement! Thanks for your encouragement. I think it helps to continually remind people that we are to be on mission with God. If we aren’t challenged in this way it’s too easy to become lackadaisical about being outward focused. I agree! Connecting with others who blog – like you folks – is a big part of what God uses to keep me mindful of His kingdom work all around the globe! Thanks for sharing the journey!